Fuel and VAT tax exemptions on international flights could provide EU countries with an extra €39 billion a year, a sum approaching Spain’s swingeing budget cut in 2013, according to a new study by the consultancy CE Delft. 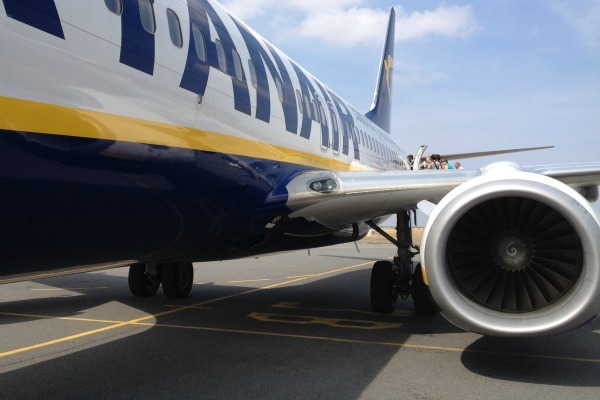 "International airlines are like flying tax havens inexplicably exempted from paying the basic EU taxes every EU citizen and company is obliged to,” said T&E’s aviation policy officer Aoife O’Leary. In an effort to tackle aviation's small but fast-growing contribution to climate change, the European Commission issued a legislative proposal in December 2006 to bring it into the EU's Emission Trading System (ETS). Transport and Environment: Does aviation pay its way? T&E could at least be honest and admit that it will be the passenger who pays the VAT and duty, and not the, in their view, evil, polluting, despicable airlines. VAT is by definition an end user tax, and increased fuel duties are only passed on to the customer, unless T&E have some other magical solution. The UK will be the biggest loser, having the biggest passenger numbers in Europe; T&E also forget the extortionate airport taxes paid in the UK. Yes, VAT is a consumer tax and yes consumers will pay it. Every time we buy any other good or service across the EU we have to pay VAT, so why not for aviation? Having VAT tax for aviation makes financial, social and environmental sense. The current VAT exemption for aviation is an unfair support to an industry that is highly climate intensive – especially when the vast majority of people who fly (even low cost) are the well-off (see http://stopstanstedexpansion.com/documents/For_richer_and_poorer_(FV).pdf). As for the UK suffering the most, this is untrue. The UK has the highest passenger numbers in the EU, while also having the highest ticket taxes (by over a factor of 10 – it’s called the Air Passenger Duty) in the EU! So why would VAT replacing the UK ticket taxes have a detrimental effect? The use of an airport is a basic running cost of airlines, and so airlines have to pay this the same way that we have to pay to park our cars in a car park. The main difference, however, is that these airports are frequently subsidised with millions in taxpayer funds (http://www.transportenvironment.org/news/proposal-reducing-aid-aviation-leaves-distortions). Aoife – taxes are not some divine necessity, they are imposed selectively to give governments the ability to finance welfare, infrastructure etc etc. In the UK at least, some things do not carry tax, e.g. food, books. Most flyers are not well off, and well you know it. You perhaps belong to that breed of lofty, patronising environmentalist who think their beliefs are more important than anything else, including what the normal man in the street might think. But they are just too stupid aren’t they?